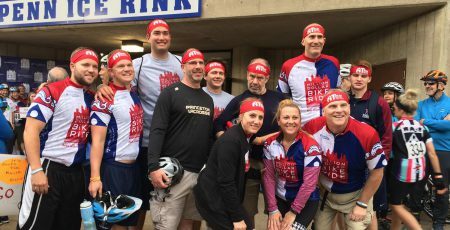 Join the DiGregorio family and other A-T families at the Million Dollar Bike Ride in Philadelphia, Pennsylvania. Help raise funds for the Orphan Disease Center at the University of Pennsylvania – and the funds will be matched and earmarked for A-T research! The bike ride will take place at downtown Philadelphia near the University of Pennsylvania campus. For more information, please contact Steve DiGregorio at steve.digregorio54@gmail.com.